Kuniji Tsubaki ✿ Hinraku, c’est bon! Prompted by the current interest in the Japanese way of de-cluttering, we consider now the concept of hinraku which reflects the state of relaxed freedom that comes from being poor. This has an aesthetic component in hikizan no bigaku (引き算の美学, the aesthetics of subtraction) which can be found in the tea ceremony. As defined by the sixteenth-century tea master Sen Rikyu (千利休), the goal is to find value in nothingness. For that purpose, the chashitsu (茶室, tea room) could be a wooden shack that consists of nothing more than four-and-a-half tatami mats and decorated with a single flower. Kuniji Tsubaki is a Japanese architect who specialises in tea rooms. He has found an ingenious way to take this spirit of hinraku around the world. 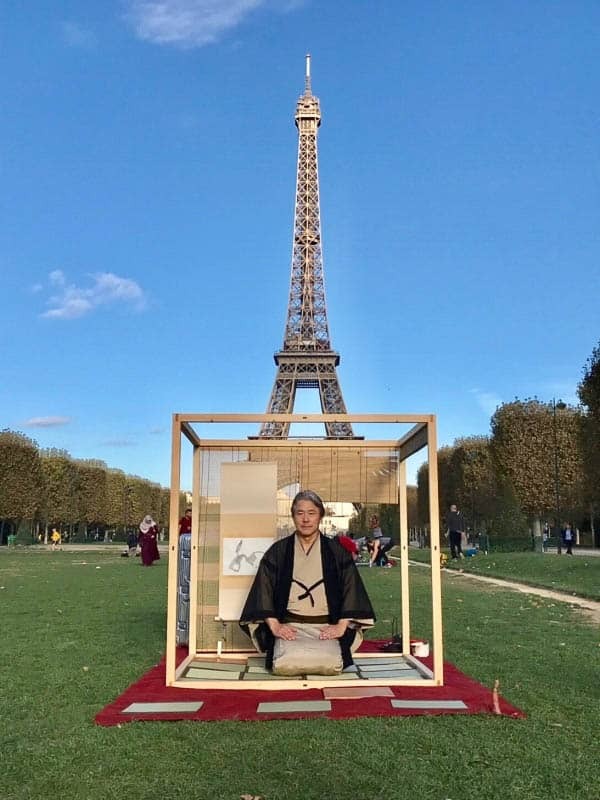 His chashitsu fits in a suitcase and can be re-assembled in any location where he spreads a message of peace. 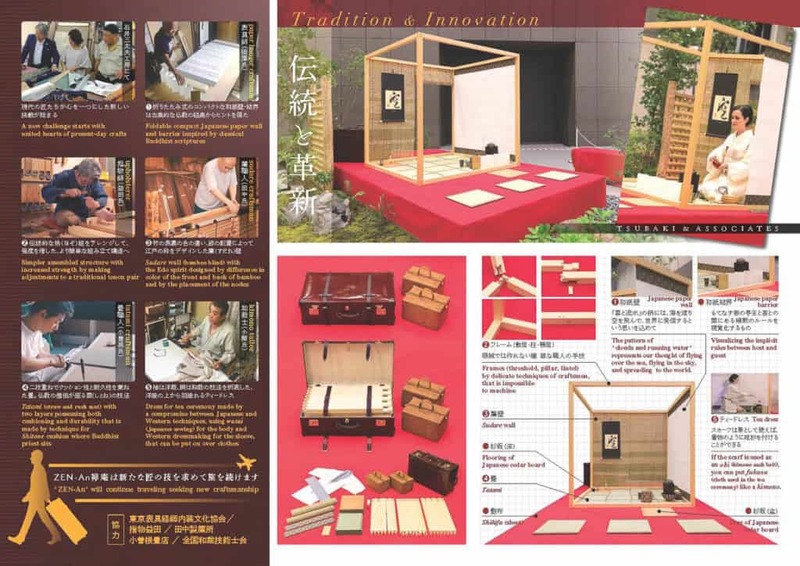 Kuniji-san’s portable tea room is constructed by his team of master artisans. And here he is Paris. You can find out more about this project here. Kuniji Tsubaki is represented by Ipoddo Gallery.